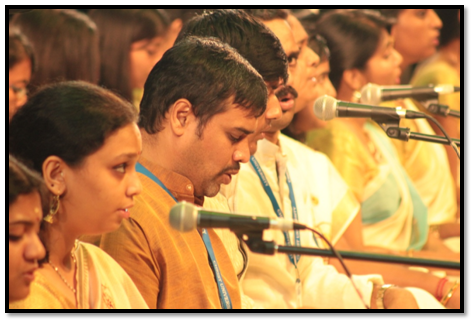 Swaranjali is a musical program conducted by the Department of Performing Arts where in students across the University who have a flavor for Carnatic Music, come together on one platform for a one hour performance. 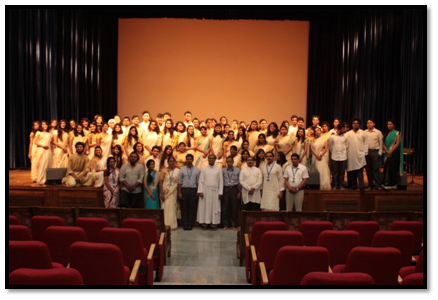 This academic year, 80 enthusiastic and dedicated students were a part of Swaranjali. Teachers’ day is celebrated with all its grandeur in the University and every year the Department of Performing Arts amalgamates the best performances for the occasion. Gurubhyo Namah is a tribute to all the teachers in the University. 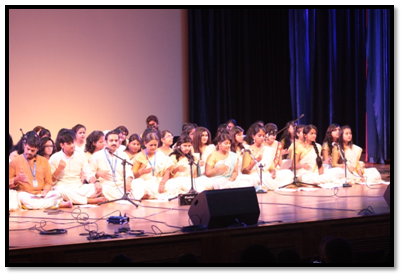 Every year on the 21st of June, World Music Day is celebrated with great enthusiasm and zeal. Eminent artists in the field of music are invited for a guest performance. The versatility of music was witnessed by showcasing performances in both the Eastern and the Western forms. 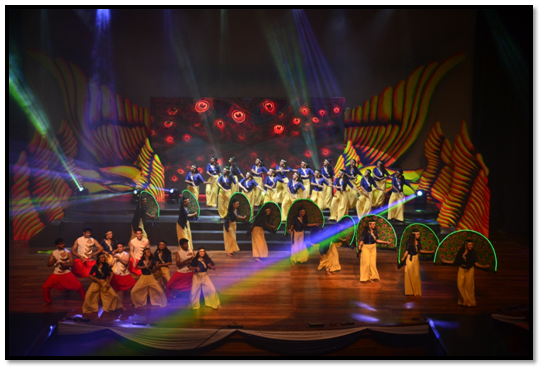 This year, World Music Day took off with the performance by the Department of Music followed by the Department of Performing Arts. 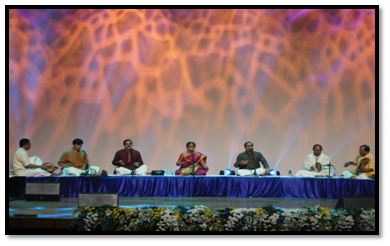 Thyagaraja Mahotsav is another musical event that is conducted by the Department of Performing Arts to emphasize and give students an opportunity to learn many compositions of Thyagaraja. Every year over 100 students across different disciplines of the University, become a part of this program. 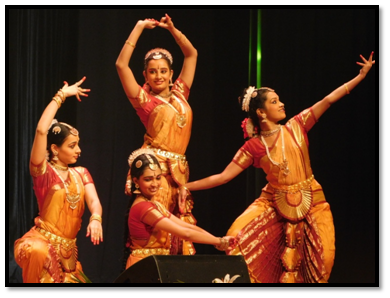 University Dance Day- Nritta is one of the most awaited events every year. Over 400 dancers come together to celebrate dance in its true form and aesthetic sense. A journey of movements to bring the university dancers together with a new chosen theme every year. This is one of the most awaited events in the academic year and is a major event of the University. Under the leadership of the Department of Performing Arts, dancers and non-dancers from across the university are invited and trained in groups to thematic compositions which are choreographed for the event. 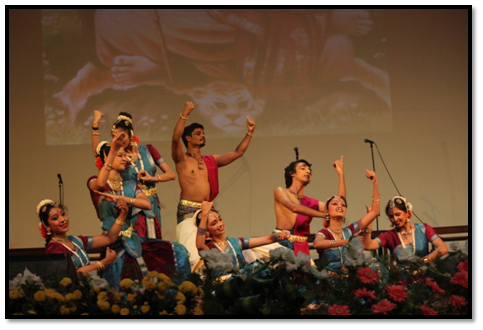 Nritta is one of the highlight performances of the University and the day is dedicated as University Dance Day. 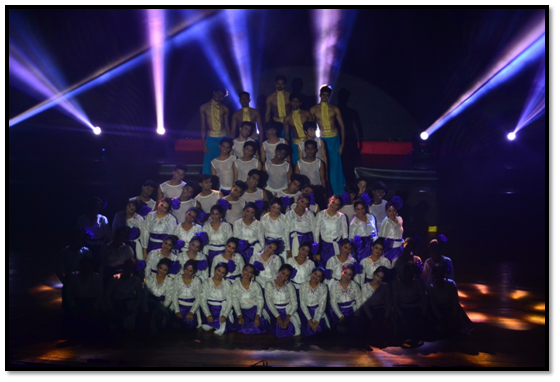 With over 350 + dancers putting up a performance of 120 minutes the year 2015 had the theme - Reel of the Rhythm. 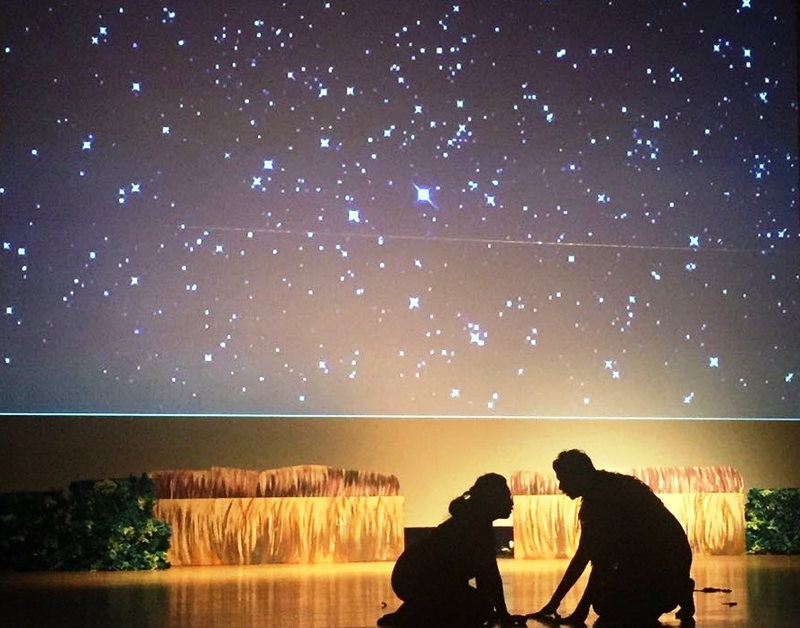 This annual theatre festival is organized to provide a platform for students from across the University to know each other and work on creating a collaborative play presentation. 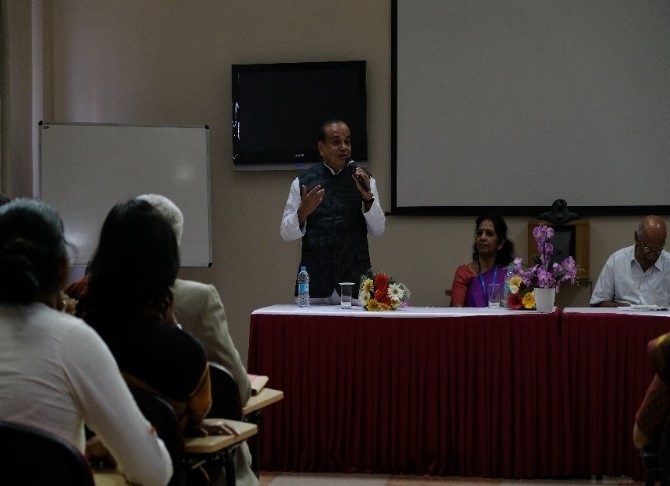 Aspects of music, dance, poster making, lights, costumes etc are incorporated in the evaluation parameters. This event also brings together dancers and musicians within the gambit of theatre. The University also uses this platform to identify students who can be part of the cultural team. Identified teams become ambassadors of theatre and performances on behalf of CHRIST (Deemed to be University) for the academic year. Street Theatre and Proscenium Theatre are two categories of performances showcased during this event. In 2015 over 25 theatre performances involving more than 500 students were showcased by the students in about 8 hours. 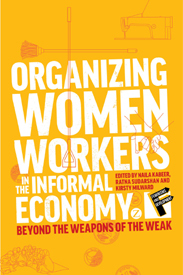 Teams have the opportunity to work across themes for this festival. 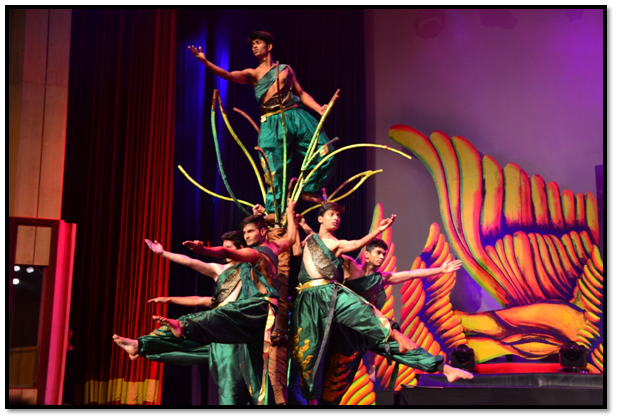 The intra university cultural fest – Darpan and the intra university sports festival - Pedagogic League have an inaugural performance facilitated by the Department of Performing Arts. This event is done in collaboration with Student Welfare Office (SWO) who co-ordinate and schedule the programs for all the important University events. 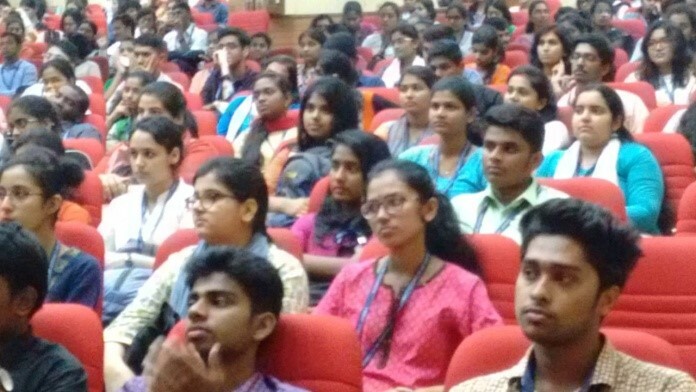 Students and faculty members are involved in training and performance aspects of this event which involves more than1000 students. Done in the playground – this format helps students to practically go through the steps of putting up large open air events. 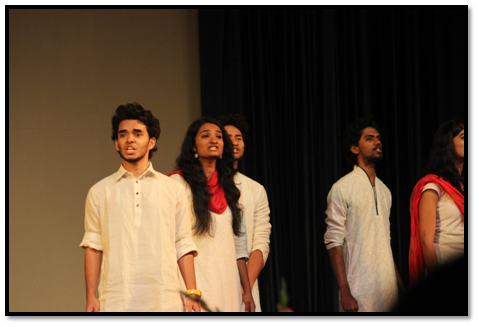 At 3 pm on 6th July 2015 over 1000 students were involved in dancing, singing and folk performances (Dollu Kunita and Veeraghasi) under the initiative of the Performing Arts department - at the university playground. 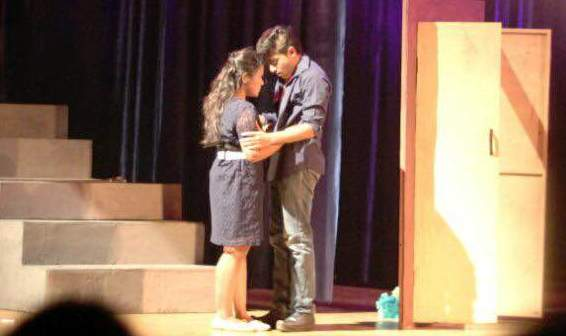 Class room productions are the conducted at Theatre Lab – an experimental space for students to learn the basics of theatre. All first year Performing Arts students are part of at least two class room productions during their academic year. Second and third year theatre students are part of three to four class room productions per year. Considered as part of their Continuous Internal Assessment , this opportunity gives each student an platform to understand the practicality of theatre tools with limited resources. 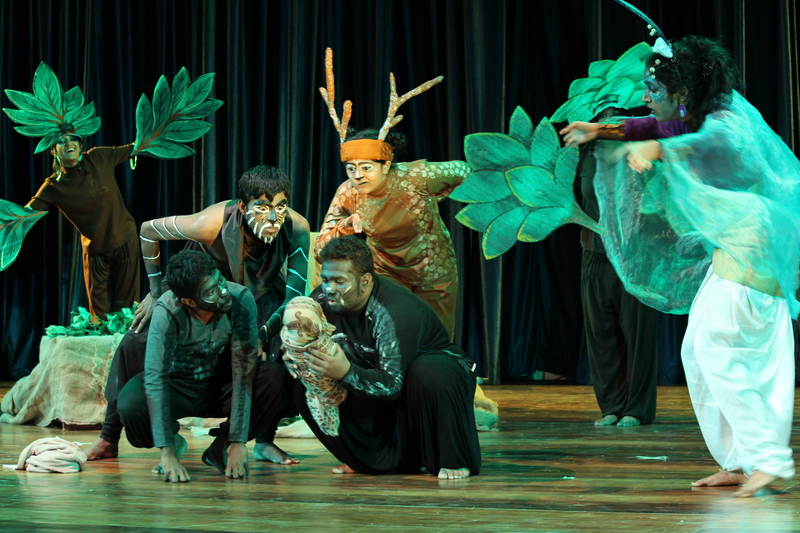 Ten to fifteen class room productions related to syllabus topics are staged every year by the students of Performing Arts under faculty guidance. Performances – Seven deadly sins, Red satin, How do do? Annual Art Entrepreneurship performance by the final year PEP students. This program is designed to provide the theoretical and practical experience on merging art and business. Students invest and showcase a performance at an identified venue outside campus to understand the dynamics of an independent art venture. Participants design posters, conduct rehearsals, create performance format, and finally market their show. Faculty member’s act as guides and mentors for this program. Music, dance and theatre performances are combined as all students taken investment and returns accountability for this business venture. In 2015 “Celebrations” was performed on 23rd of September as a ticketed show at Rangasthala, Rangoli Metro Art Centre, Bengaluru at 5pm and 7pm. CHRIST (Deemed to be University) has been playing host for a theatre festival for other colleges and universities over the years. Plays of about 30 minute duration for the Proscenium Event and 10 minutes for the stage event are invited. 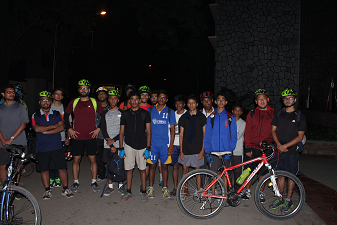 The event started off as an event for teams from the city and now has become a national theatre festival with over 13 teams from across the country participating across two day in the month of February. 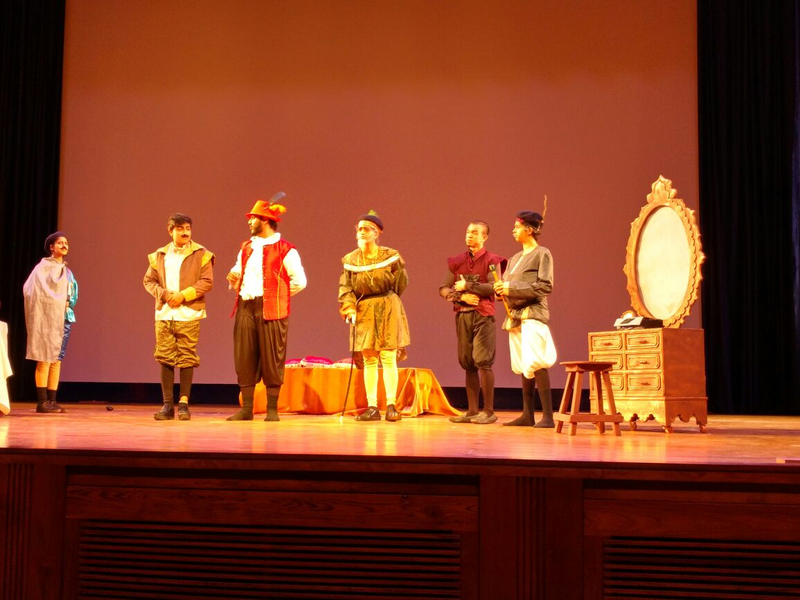 2015 was the first year the festival also had an international guest performance – by Mr Ronald Rand from USA.